What makes a good skincare? For me, it will definitely be the benefits and results that the skincare gives. I used to go for popular brands in the market but not all works for me. Through the years, my skin condition has change from time to time and guess this is part of aging! And it doesnt help with the harsh weather condition we face these days. Perhaps, I should just go for basic skincare which are mild and not overly rich in terms of contents. Was introduced to Marina Skincare by a friend who happens to be the creator and also, founder of Marina Skincare. 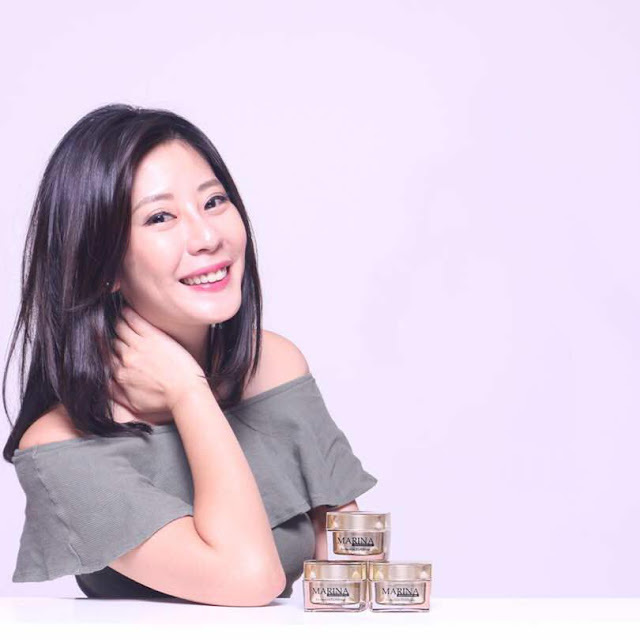 She has formulated Marina based on her many years of experience in the beauty industry, researching on what works best and gathering information on what busy women of today needs. Its a protective fortifying cream that has a re-whitening formula which contains a combination of active ingredients and technology. Designed to reveal a true luminous complexion along with distinct attention to corrects existing dark spots and prevents new ones from forming. After applying, it will leave a pearl-perfect complexion which makes your skin smooth and radiant all day long. Check out the packaging, love Gold! Pollutants from the outside get your skin older,niacinamide inproves barrier function of your skin and protects your skin from dust and UV it also improves appearance of photo-aged skin condition including texture uneven skin tong,redness and wrinkles. Tranexamic acid is an ideal component to make your skin brighter it treats hyper-pigmentation and discoloration caused by acne and sun damage.you will find you skin gets clear day by day. Decreasing inflammatory and increasing sensitivity tolerance. A powerful "comforting "peptide targeting sensitive skin due to its highly soothing effect.it increases the skin 'sensitivity tolerance threshold making skin less reactive and diminishing sensation of pain and discomfort. As Marina is a 1 step routine, it really helps me to speed up on my daily skincare routine and also, makeup. Basicially now, its just Marina and loose powder, no founadtion, no bb cream or concealer. Importantly is, it helps to create a barrier between my skin and the makeup, at the same time achieving a fairer skin. Hows that sound? Its Perfect! 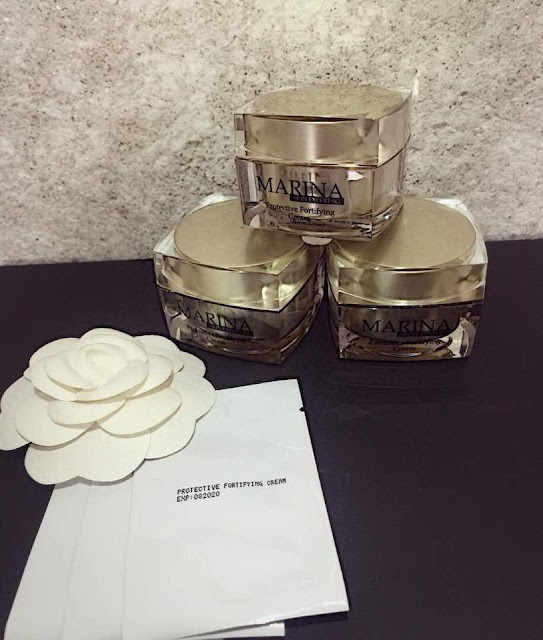 And because Marina has proved results and helped to improve my skin condition, I have agreed to be their brand ambassdor to share my reviews and results with more woman! Ladies, if you would like to have some sample to try or need more information on where to buy, drop me an email!